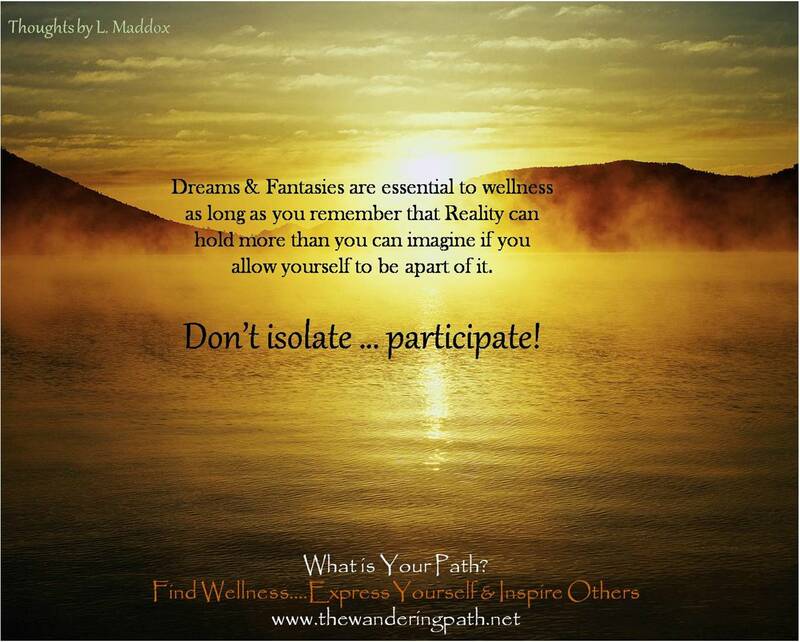 Good Morning all, it’s Liza, the Owner of The Wandering Path. The past week has been a bit “strange” for me but in a good way. I have met many individuals lately in search of things…whether it is a way to find balance, treat some health concerns, or even dealing with spiritual energies. Not everyone has the same path to travel or achieve the same milestones that others do in their lives. I just remind those people that there is a way to look at things & that getting different perspectives can change their whole outlook on a situation. By listening & helping one another during difficulties you may find that you’ve given that key piece of a puzzle that allows someone to avoid a mishap you’ve experienced or helps them let go of something they’ve held onto that was weighing them down. I also found this to be beneficial to myself as if I can give the advice, I also need to follow it…as well as hear what they have to say as it may help me with my own path. 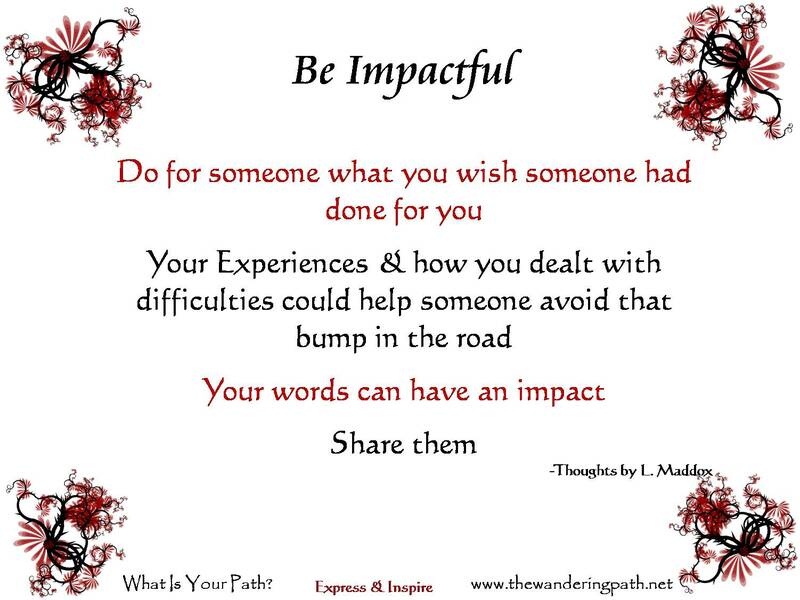 Help one another…sometimes what you say will impact them in ways you never even know….and don’t be discouraged if they still decide to take a more difficult road for some of us need to “learn” through experience as we are not ready to skip that step. Good Morning all. As the holiday approaches be safe and prepare well. If you are in a place with high heat please take extra care. This morning we are thanking Liora for her share of a Chinese Proverb. 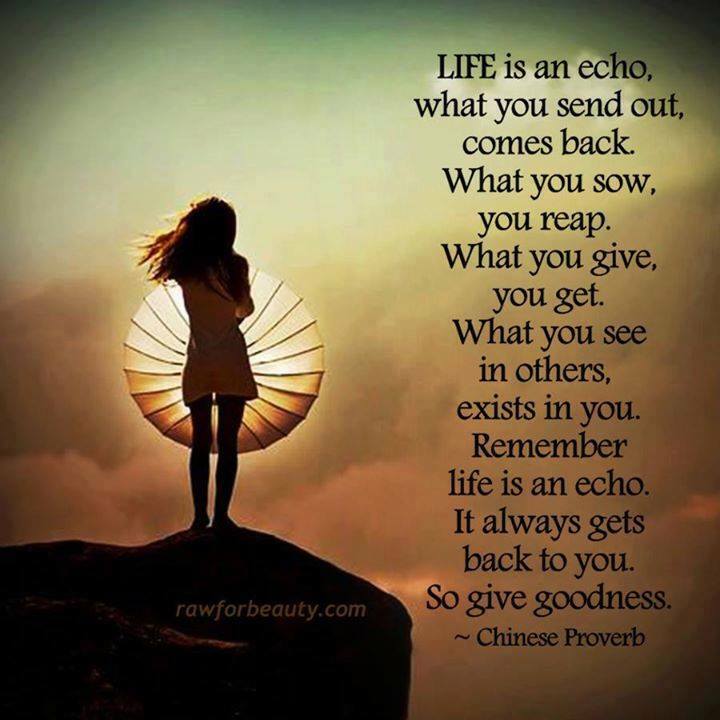 Life does echo actions. We believe in karma and also that you do get back what you put out. Be thankful for what you have and what is possible. We know that sometimes you get things that you don’t understand or don’t deserve but life can be a beautiful experience if you allow yourself to see it even with its difficulties.